The Small Old Acanthus Leaf Plaster Coving would have been a very popular design in the Georgian or Regency times due to the subtle flowing acanthus leaves features. 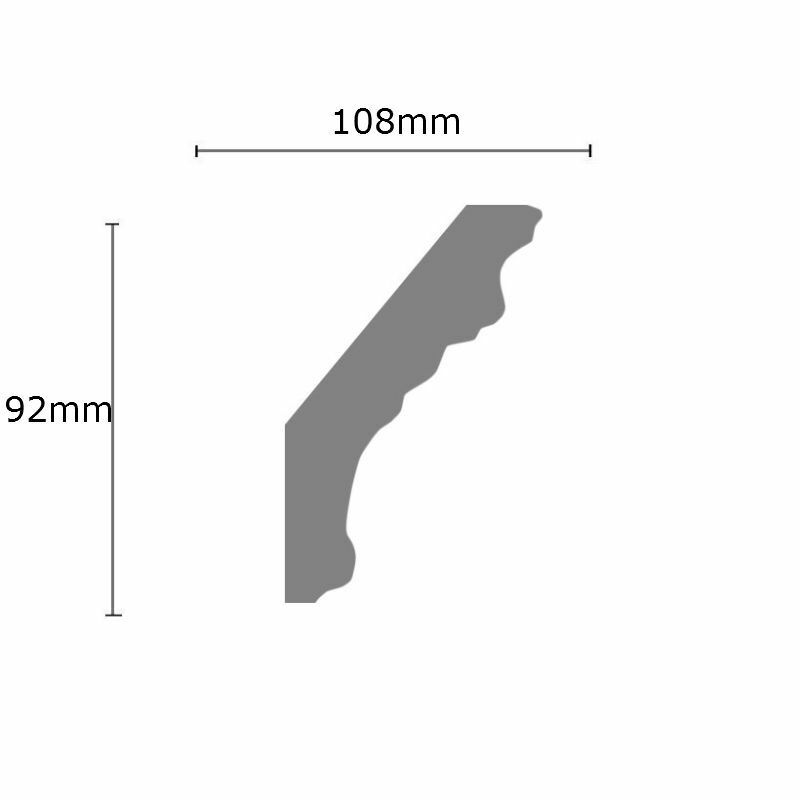 This coving has a projection of 108mm (4 1/4 inches) and a drop of 92mm (3 5/8 inches). Whilst this plaster coving comes in lengths of about 3 metres, we sell this coving by the metre.